I’ll let my special guest have the first word…. Thank you, Professor! The good news is….the Winter Games are very much alive and well! The good folks at the Chamonix City Sims have been hard at work building and inventing new ways to play Winter Sports, and they’ve done a brilliant job. But of course…there’s that bad news bit too…. 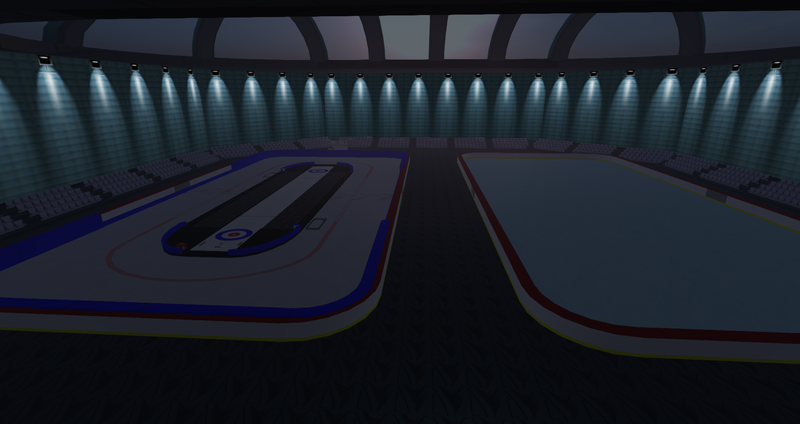 As much as it pains me to have to say, the Winter Games are being postponed until December of this year. Initially, they had been postponed one week, due to some extenuating circumstances, but after much deliberation, they’ve been moved back to December. To be completely honest, I might have been too ambitious, with my initial date of mid-March. This being my first major event, I might have tried to rush things a bit. But I must say, people have really rallied around this concept, and we have got some really special things to show you for the Games. I’d like to take time to especially thank Ashlene McMinnar, Jehuty Niemi, and Kacey Rossini from Chamonix/GOHA for opening their sims, and creating some incredible venues for the Games. Also, thanks to Marianne McCann and Pygar Bu from Bay City, for their help in designing the art for the Games, and their advice and support in planning this event. Thanks to the community managers that have really jumped on board with this concept. I look forward to a great big, amazing, exciting Winter Games in December! Now, lets see some of the results of all this hard work…. 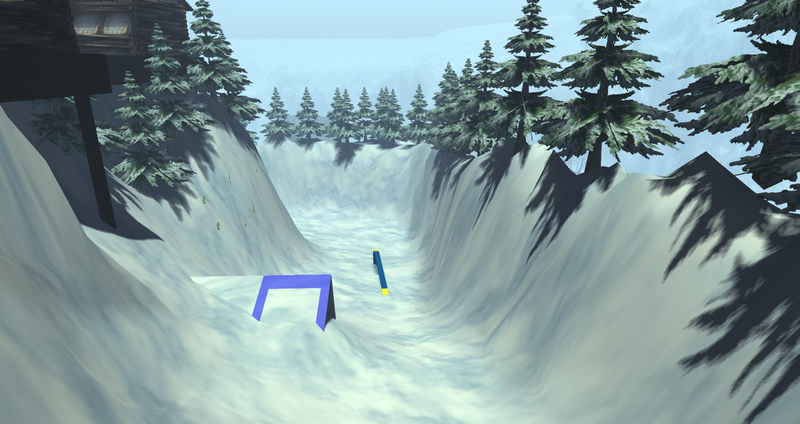 Here is the winding, beautifully constructed bobsleigh course, in the Off Sides sim. 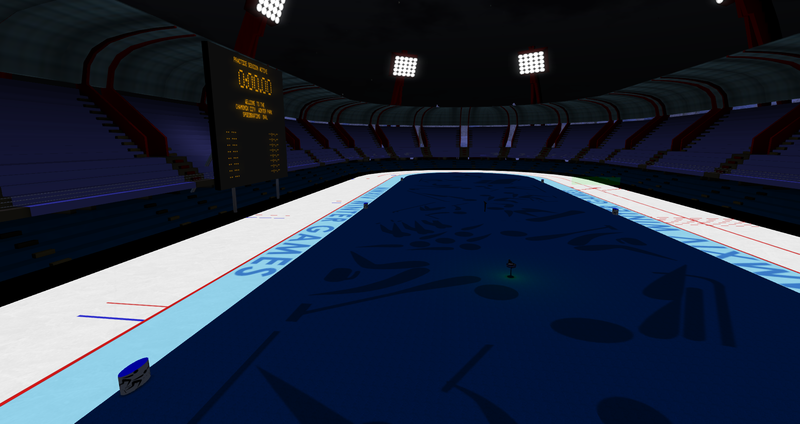 There is a large scoreboard, and you can start to practice today, by rezzing a sled and racing down the track. Here is the map link: http://maps.secondlife.com/secondlife/Off%20Sides/47/100/86. Running along side the bobsleigh course is an exciting freestyle snowboarding course. Free boots and boards rezz at the starting point, also on the Off Sides sim. These are beautiful courses, and athletes will love competing on them. Moving indoors, curling will definitely be featured at the Winter Games. Four matches can take place simultaneously in the Curling Center at Blueliner. Practice Arena high above the main grounds. As you can see, a lot of hard work and ingenuity has gone into making something brand new to Second Life. I cannot wait to share it with all of you, bigger, and better than ever, in December! 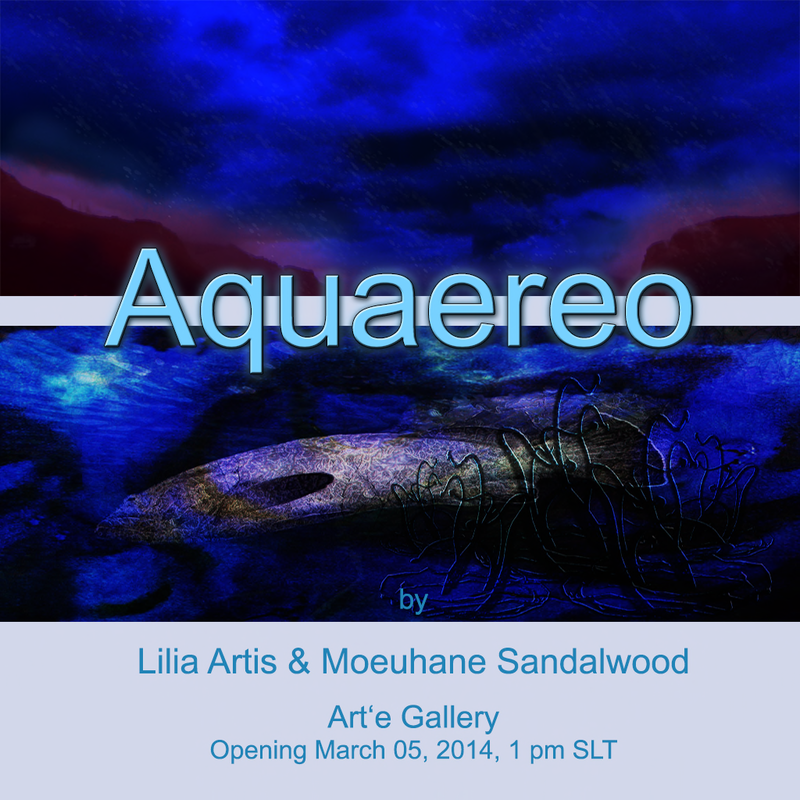 You are invited to the opening of Lilia Artis and Moeuhane Sandalwood’s exhibit Aquaereo at Art’e Gallery March 5th, 2014 at 1 PM SLT. Lilia Artis bio: “My RL artwork stepped into the background when I discovered the love of writing, which has become my main career. Coming into SL however, rekindled the passion for the paths of colours, light, pattern and structure. And so, I merge both interests into my virtual art.